In December, the JTA launched its Ultimate Urban Circulator Autonomous Vehicle Test and Learn track. At the event ( L to R) are Fla. State Rep. Tracie Davis, Ford, and Fla. State Rep. Jason Fischer. 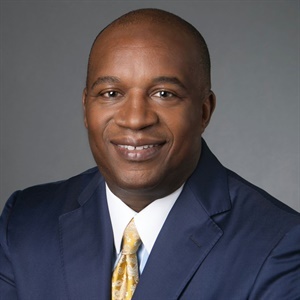 Nathaniel P. Ford Sr. has a distinguished career that spans more than three decades, including serving as CEO of Fla.’s Jacksonville Transportation Authority (JTA), the San Francisco Municipal Transportation Agency, and the Metropolitan Atlanta Rapid Transit Authority. Ford has built a legacy on organizational leadership, fiscal acumen, and innovation, which he has used to help transform the JTA. When named Chair of APTA at this year’s EXPO, Ford said that collaboration, workforce development, and cybersecurity were just some of the initiatives he would like to champion during his tenure. You’ve discussed bringing all the necessary parties to the table. How could this impact future transportation decisions? Public transportation is a $68 billion-a-year industry in the U.S. Surface transportation is at the precipice of a disruptive change that has not been seen since the invention of the automobile. Mobility innovations, such as on-demand transportation services, ride-sharing, and advancement in autonomous vehicles, are just a few examples of the change that is taking place in our industry. Bringing everyone to the table together gives a better opportunity for advocacy, information sharing, and identifying best practices to provide solutions to some of these issues. I am excited that APTA is moving forward in hosting a mobility summit this summer to bring together industry leaders and experts working on the creation of best practices and establishing a vision for the future. We believe that taking proactive and informed measures puts us in a better place to handle the challenges and opportunities before us. You have probably heard me say that public transportation is facing the greatest transformational ‘moment’ of our generation and, as such, history will judge us for what we set in place today. APTA is prepared to lead the industry in this effort. Discuss the importance of recruiting the workforce of the future and developing the current workforce to fill potential gaps. Public transportation currently employs more than 400,000 employees and supports an additional two million jobs. To prepare for the new mobility paradigm, we need the best and the brightest skilled workforce. Transforming public transportation’s current and future workforce requires strategies to retain, attract, and invest in the best and brightest skilled workforce at all levels. During the next five to 10 years, transit agencies could lose 50 percent, or more, of their workforce because of retirements. These shifting demographics are projected to create nearly 980,000 job vacancies in public transportation over the next 10 years. Future jobs will be more technology driven. The current transit workforce is not trained to be mobility-minded experts. We currently do not have the horsepower, internally, to tackle the systems of the future. Industries that use these transformational times to invest in their employees will be on the cutting edge of this mobility shift. We have to continue to provide innovative, skills-based training opportunities for our incumbents and collaborate with educators to sponsor large-scale training programs across the industry. Some of the programs exist today, such as career pathways programs in Los Angeles; full apprenticeship programs in Philadelphia, San Jose, and Cleveland; and mentorship programs in Washington State. Our industry needs to invest more in career pathways at all levels and to link these jobs to lifelong learning. Many of the frontline jobs must be professionalized by linking them to skills-based certifications and measurable competencies. Among my priorities as APTA Chair is to launch a pilot program for online education and learning opportunities, and to develop a framework for an APTA Training Certification program. APTA is also convening a ‘Workforce of the Future Summit’ in 2018 to bring together forward thinking thought leaders on workforce development, showcase best practices, and to highlight national partnerships in similar industries. How susceptible are transit agencies to cybersecurity threats and what can they do to help protect themselves? Today’s vast, interconnected, and highly complex web of information systems facilitate commerce, learning, manufacturing, and, of course, transportation. They also make us and our organizations more vulnerable. The risks of operating in this cyber-environment are broad and deep, requiring elevated levels of awareness and response to potential attacks that can do lasting damage to hard assets, like infrastructure, and soft ones, like reputation. Increasingly, protecting these assets is a strategic priority and an operational imperative. As we expand our use of technologies, such as data-sharing and driverless vehicles, the threat keeps growing. Public transportation agencies of all sizes and at all locations are at risk. This is why I have made cybersecurity one of my top priorities. First, agencies should take these threats seriously and create a strategic technology plan that includes standards for implementation of enhanced enterprise cybersecurity programs and software that protects their systems, including mobile, servers, and desktops, from viruses, ransomware, and other malware. APTA is developing the best resources for our members to assess and prepare for the challenges to come. During the APTA CEO seminar, which will be held in Miami in February, we will be joined by TSA Administrator David Pekoske and by FBI Deputy Assistant Director for Counterterrorism Christine Halverson to hold exchange sessions on how to improve our safety networks. We will also discuss new technologies and best practices to deter threats of any kind. How can the industry keep the pressure on Congress to continue providing funding for agencies and their projects? 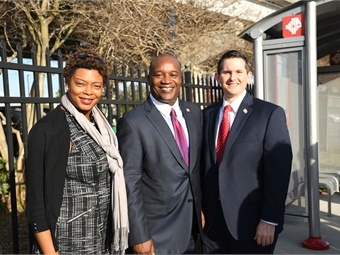 We want to ensure that members of Congress understand that transit plays a key role in all of our communities. The federal government now pays for almost 43 percent of all capital investment in public transportation. Communities rely on the federal partner to make these major capital investments that improve the overall transportation systems. Agencies must continue to meet with members of Congress, who represent the communities they serve, to educate and inform on how transportation data, coupled with health, education, and economic statistics, can be aggregated to provide solutions to overall community problems. Business members who provide goods and services should continue to advocate for federal investment in transit infrastructure, which creates jobs and stimulates economic activity. State and local governments have done their part to raise revenues for transit investment. Many states and localities have raised gas tax revenues and other taxes that support transportation investment in recent years. In 2016 alone, $170 billion in tax revenues over the next 30 years was raised in state and local ballot initiatives. APTA and other groups have called upon Congress to address this issue. We have urged Washington to propose a fix for the Highway Trust Fund, address the State of Good Repair needs of our communities, and fully fund the FAST Act. We are ready to work with the Administration to find sustainable solutions. An autonomous shuttle at JTA. What’s important about the federal contribution is it leverages funding from state and local communities, which can’t make these kinds of investments a reality alone. The federal component remains essential in this historic local-state-federal partnership. It makes local and state funding possible, and it acknowledges the overall national economic and social benefits of a strong public transit system. What do you hope to accomplish from the autonomous test track pilot? In December 2017, the JTA launched the Ultimate Urban Circulator, or U²C, Autonomous Vehicle Test and Learn track. The U²C will transform and modernize the JTA’s existing elevated peoplemover, Skyway, with next generation AV, to provide greater connectivity, reliability, and fast and direct service, as well as sustained economic growth in downtown Jacksonville. The U²C is a huge transformational project for not only Jacksonville, but the entire nation. The Test & Learn track will serve as an outdoor classroom to test and evaluate multiple vehicles from the AV shuttle industry. 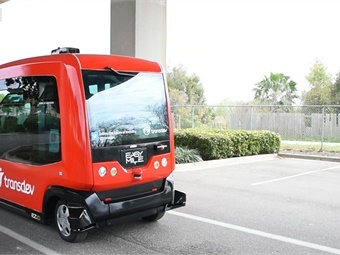 The process will enable JTA to gain critical information for the development of the U²C program and other future applications of autonomous transit vehicles, as part of its overall public transportation system. These include evaluating different vehicles; garnering feedback from the public; building public acceptance of AV technology; evaluating vehicle performance in certain conditions, such as weather, road, and traffic; developing specifications for our U²C vehicle procurement; evaluating battery capacity and charging requirements for electric shuttle to inform U²C system requirements; and evaluating and developing specification to ensure ADA compliance. It will also help us understand required communications infrastructure and evaluation of different approaches; develop JTA requirements for operations and maintenance staffing; evaluate and establish safety protocols for operations of AVs, including required redundancy of AV systems; evaluate cybersecurity needs of AV systems; and understand the feasibility and issues surrounding remote control and supervision of vehicles. The vehicle that is ultimately selected for the U²C program will more than likely be a new and improved version than what is available today. New vehicles are constantly being developed and tested. Manufacturers will have different generations of vehicles between the time we plan, construct, and deploy the service. For more information about the U²C program, visit u2cjax.com.